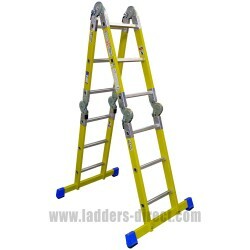 Our multi-purpose step ladders provide an 'all in one' solution offering single section ladders, free standing 'A Frame', stand off ladders, trestle ladders, telescopic ladders and stair ladders. 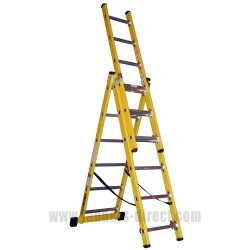 Perfect for trade and industrial use or DIY around the home. 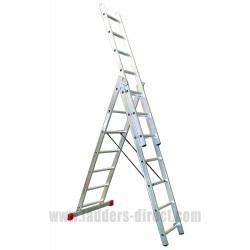 Multi-Function Ladders There are 9 products. 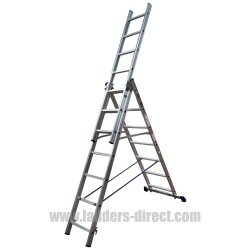 Simple to use as a straight Single Section Ladder, a Free-Standing A-Frame Ladder, a Double Sided Ladder, a Stand-Off Ladder, a Trestle Ladder, (supplied complete with powder coated steel platform), this Folding Multi-Function Ladder offers many of uses. Provides a maximum load of 150kgVolume Discounts Available* Availability: In-Stock. 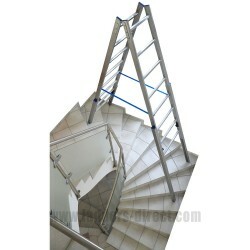 Use this ladder as a Free-Standing A-Frame Ladder, a Stand-Off Ladder, a Trestle Ladder, (supplied complete with powder coated steel platform) and a straight Single Section Ladder; the Clow Glassfibre Folding Multi-Function Ladder offers a myriad of uses. 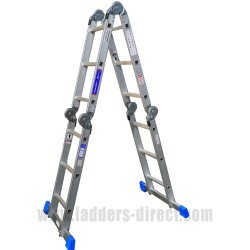 Provides a maximum load of 150kg.Volume Discounts Available* Availability: In-Stock. With four individually adjustable stiles, the stile extensions bars can be utilised to accommodate up to 4 different staircase levels (a maximum of three extension bars can be extended at any one time). Provides a maximum load of 150kg.Volume Discounts Available* Availability: In-Stock. 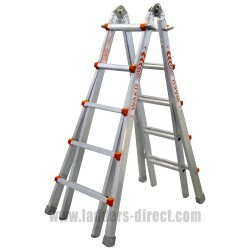 The Clow 5 Way Aluminium Platform Ladder is an extremely versatile, lightweight multifunctional model with 5 positions in 1 portable package. Provides a maximum load of 150kg.Volume Discounts Available* Availability: In-Stock.